1 - 25 of 816 results for "Russia"
Rotary Cut Birch from Russia. 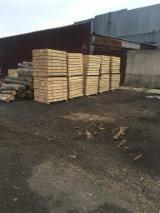 25; 32; 35; 38; 45; 47; 50; 63; 75; 100; 150; 200; 250 mm Fresh Sawn Siberian Larch from Russia. 30-80 cm Mongolian Oak Saw Logs from Russia.